The tablet POS is a lightweight edition of AmigoPOS intended to run on 8" (or larger) Windows 10 tablets. 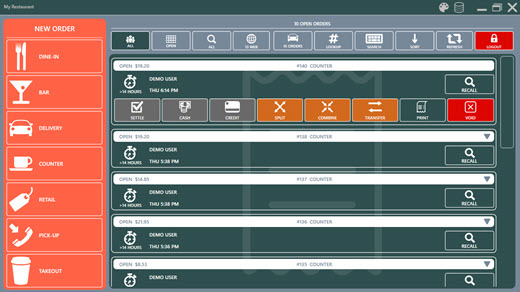 The AmigoPOS Tablet Server, a component of the data service application, is used to print customer receipts and prep tickets for orders submitted from the tablet user interface. An unlimited number of tablets can be run from a single tablet server license.